Our weather series moves onto rain, so we made rainy day pictures with an umbrella. In advance, cut out umbrella shapes and handle shapes. 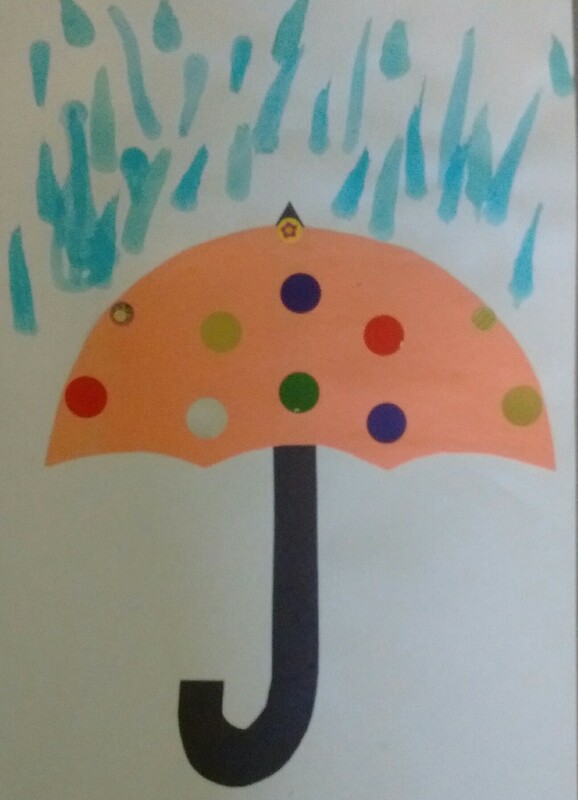 The children should glue the handles and umbrellas to the paper, and decorate the umbrellas in any way they like. Use blue paint to make splashy raindrops falling on the umbrella.